Drug abuse remains a prominent problem throughout society. Among those 12 and older, millions fall victim to substance abuse each year. Because of this, it is important for all people to know the most common substances of abuse and the general signs that an issue with these substances is present. Drug abuse remains a major issue throughout the country, as well as the world. 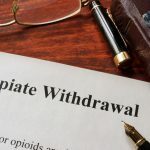 Knowing more about the substances that are abused can make it a bit easier to know when a loved one might be in trouble and require detox and other treatment.